We specialize in publishing the English translations of Karl May who is Germany’s most published author. His world famous “Traveler’s Tales” have excited young and old for more than a century. Here, for the first time, is an ever growing collection of his writings, translated into English by Karl May enthusiasts. Our mission is to bring the enduring message of peace, tolerance and harmony, championed in Karl May’s original manuscripts, to the English speaking world. But we do not restrict ourselves to purely Karl May’s work. We also publish other works of humanitarian interest. Hence if you have written a book, what comes next? Obviously you would like to see it published. But who will publish it for you? There are many publishers, but few will take a risk with a first time author. Our Publishing Company has a number of solutions for you here. Here it is, dear Reader! 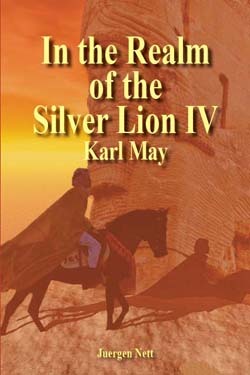 The long awaited final volume of Karl May’s “In the Realm of the Silver Lion”. In this continuation of the Silver Lion narrative, we find Kara Ben Nemsi and Halef recovering from their infection with typhus in the valley of their friends, the Jamikun. Once again our heroes are confronted by members of the “Shadows,” but as before, their keen wit and bravery are able to overcome every challenge. Upon inspection of some ancient ruins, Kara discovers a secret with wide-ranging implications, and a former adversary is turned into an invaluable friend. The story culminates in a celebratory horse race that has friends and foes pitting the best horses of the country against each other. Will our heroes emerge victorious, and will they be able to bring the “Shadows” to justice? The “Silver Lion” tetralogy is now available in ePub format. It is here at last, dear Reader! 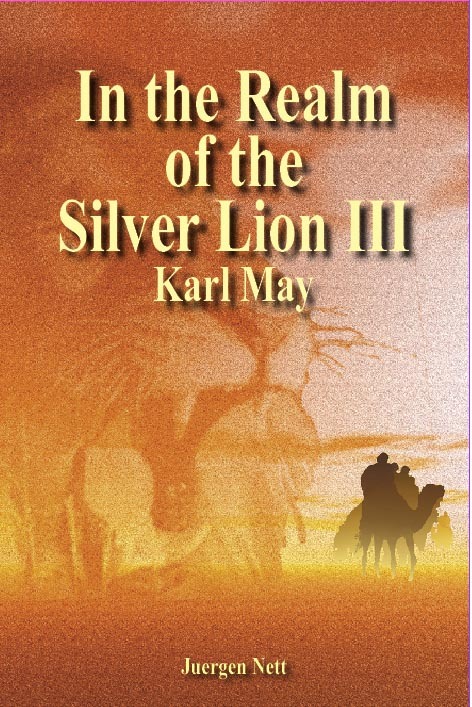 The long awaited third volume of Karl May’s “In the Realm of the Silver Lion”. In this continuation of the Silver Lion narrative, we find Kara Ben Nemsi and Halef starting out on yet another exciting journey, this time in the Persian city of Basra. Ready to take on new adventures, they not only encounter an old friend of theirs, but also yet another member of the “Shadows,” an arcane cult involved in organized crime in the region. Through subterfuge, our heroes are able to obtain a mysterious letter from this man. As Kara and Halef leave Basra, they realize that they might have left the disease-ridden city too late. Despite the clean mountain air, Halef is beginning to show signs of sickness, and even Kara is beginning to make mistakes. Will our heroes be able recover, and what additional adventures will they experience? Old Surehand is the name given to one of Karl May’s foremost Wild West heroes. In these pages you discover the dramatic tale of his life, which drove him restlessly across the prairie. His encounter with Indian tribes on the warpath and his trek across the arid reaches of the Llano Estacado keep the reader spellbound. These three volumes form the “Satan and Iscariot” trilogy. Actually, Karl May only called the third volume by that name whilst others called it “The Swindler of the Millions”. The story that began in the mountains of the Northern Mexico territory, where the first of the three notorious Melton character appears in “The Rock Castle” continues in “Kruger Bei” with yet more murderous betrayals through the deserts of northern Africa. Finally it concludes in the final book, “Satan and Iscariot”, with a fast moving tale that returns to the southern territories of the Unites States, Louisiana, New Mexico and Arizona, a tale that relates the pursuit of these “Swindler of the Millions”, until the final judgment is rendered to the purveyors of lawlessness and murder.